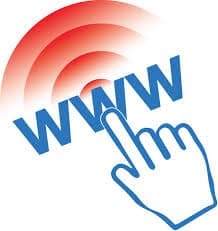 Internet is now so popular and useful platform which everyone is using for different purposes. Business houses are trying hard to get attention from customers and from netizens. Small business units are also struggling just to build their presence online because they have also understood that now future is in digital marketing and using this technology is not only cheapest but effective too. Nowadays there are a few very powerful tools in the market which everyone is trying to take advantage of for their good return in the business. A blog is not just about giving you information; it is also updating you every now and then regarding the company’s product. Of course company has a website but website pages are mostly static in nature but blog has dynamic page and allows interactions with customers and people who show interest in your page. This helps to develop a good level of understanding. 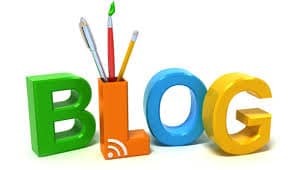 There are many blogging platforms which are free of charge and come with beautiful template design. You can make changes in your template with a few clicks of your mouse, so you don’t need a web designer. If you wish you can also pick a self-hosting blog with a domain name in a very small amount of money. It is good to be careful before choosing the right blogging platform. You can use for example wordpress or blogger. It is good to have a website of your own because it reflects seriousness on your part. In fact website integrates a lot of things. It can have a blog and an online shopping features and not only this you get more control over the design and SEO, you don’t have to share customer’s attention with other brands. And good thing is that it is easier to build and user friendly. 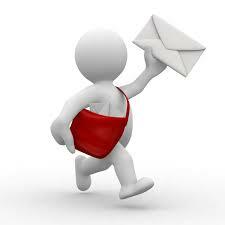 And you can make a contact us page also which is vital in online marketing. However there is one great thing when you are having a website – content management. As you are a small businessman you don’t like to hire a developer or web designer. As you are planning to manage content yourself, you must look for a platform that allows you to build websites and focus on content management. Website builder like wordpress is one of the best and appealing platforms which offer a nice inline editing and drag&drop based interface that really focuses on content. Studies say that email remains among the ultimate marketing tools for small businesses. It has a high ROI, bigger conversion and new customer acquisition rate, and it is more measurable than social media advertising. It is also found that if you follow this as a formula in your blogging practice that you can use “80% relevant content and 20% sales pitch” this can increase your brand’s credibility. 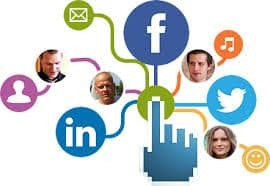 Social media platforms such as Facebook, Twitter, LinkedIn, Google+ and Pinterest are the major players that come almost by default into online business marketing. It is good to cover at least two of these social networks. It is very important for you to be able to measure and monitor the responses of your customers on these platforms. If you are doing any campaign without this knowledge or skills on any of your social media then you are only draining your marketing budget. However it is good to say that there is a good number of software that provides the relevant information. A few known names are Mention, Colibri etc. The road to success can never be an easy journey for anyone let alone the small business hence it is very important to go ahead with careful planning. A few tips which are given here do not claim to be the best. Yet, if implemented well they can be extremely helpful.